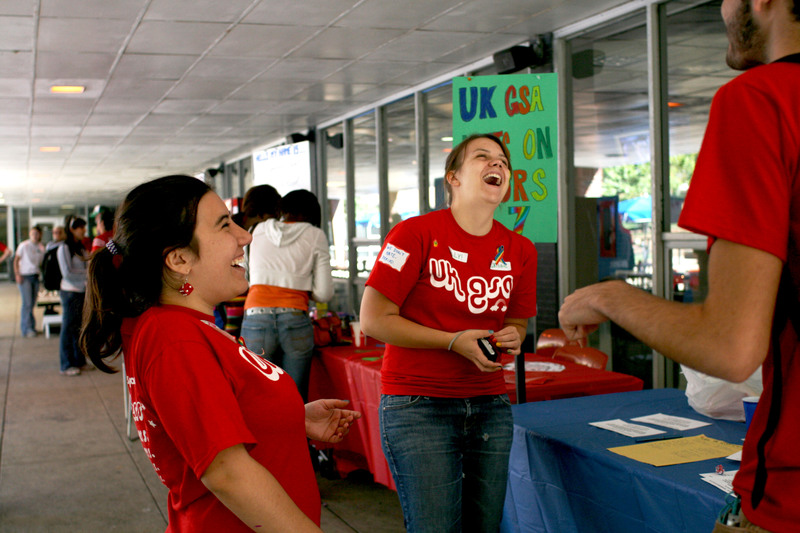 GSA Secretary and Spanish freshman Solange Minstein, left, and political science senior Corinne Keel, middle, laugh at a joke by art studio sophomore Aaron Skolnick, right, at the Coming Out Day celebration on the Student Center patio on Oct. 9, 2008. 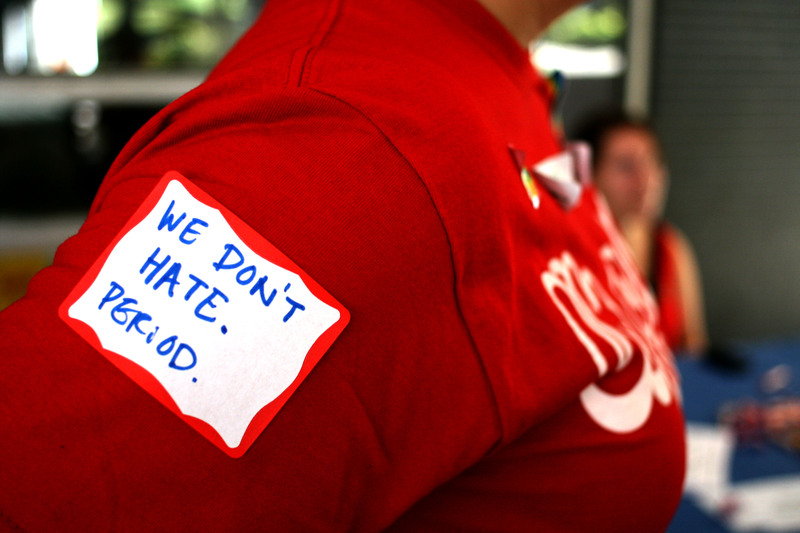 Students like Corinne Keel made creative name tags at the event. 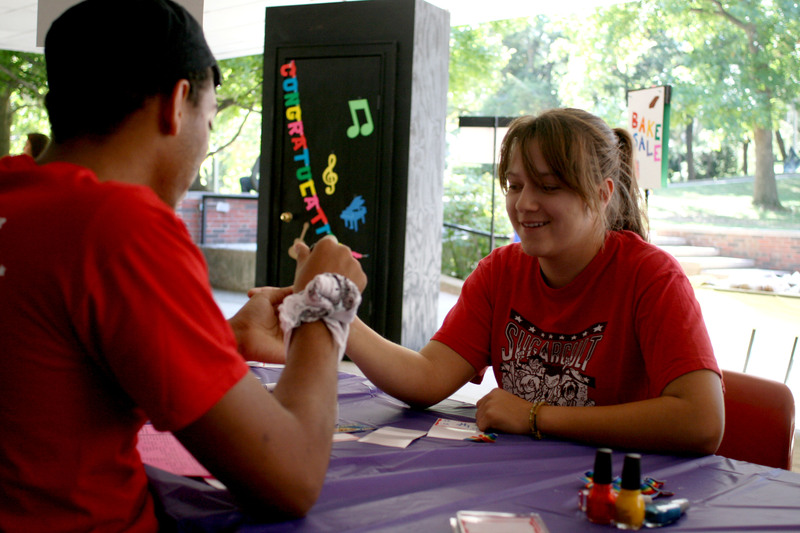 Psychology freshman Erik Bentley paints music freshman Mary Kathryn Corley’s fingernails at the Coming Out Day celebration. Mary Kathryn Corley has her fingernails painted at the Coming Out Day celebration.